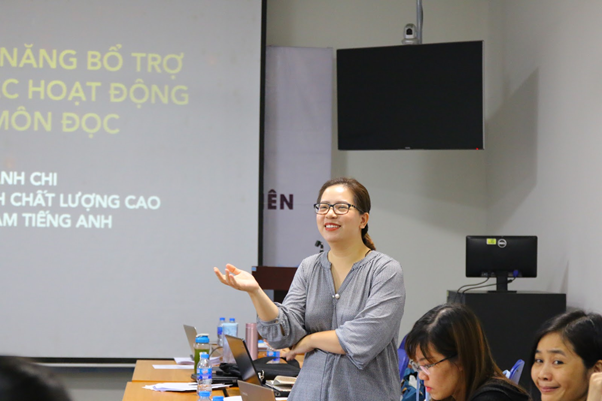 On December 4th, 2018, ULIS-VNU organized a seminar on developing complementary skills through hands-on learning activities for fast-track programs’ trainers. 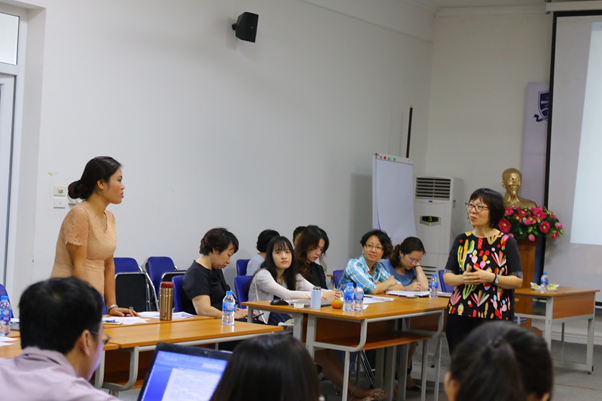 The seminar was attended by leaders of the Academic Affairs Office, lecturers of the Faculty of Japanese Language and Culture, the Faculty of Chinese Language and Culture, and the Faculty of Korean Language and Culture. At the seminar, the trainers had chances to learn about the methods of testing and assessing supplementary skills, enhancing the development of supplementary skills through the learning activities of Reading, exploring the approach to building the fast-track program, etc. 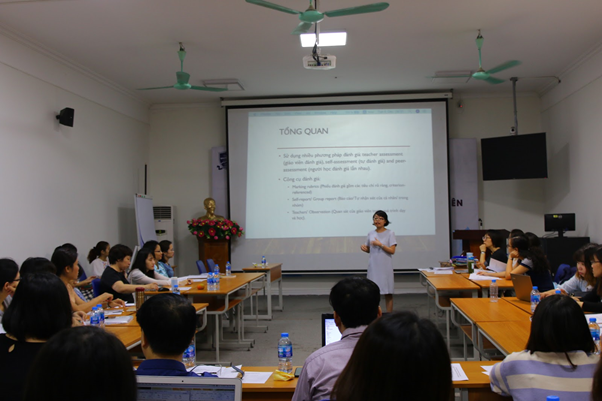 In the training session on the development of complementary skills through speaking learning activities, lecturers had access to an overview of the activities that create the identity of fast-track program and learnt about the two typical learning activities. 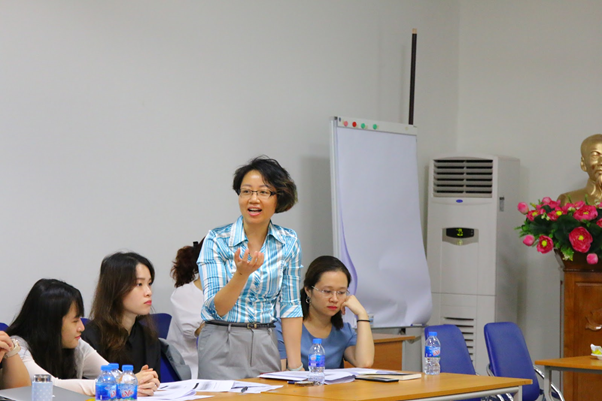 The lecturers were divided into groups to discuss and give presentations. 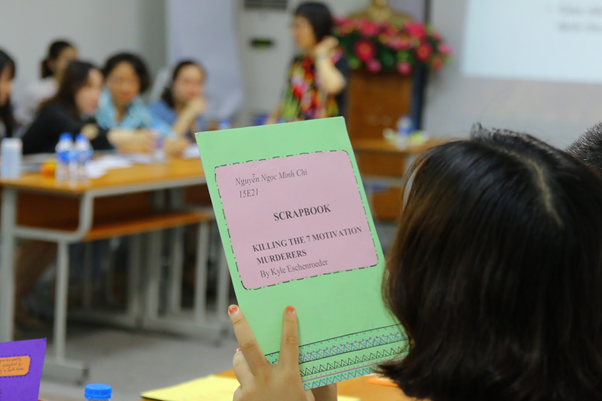 At the end of the training sessions, all lecturers evaluated that the program had been designed in a variety of forms (experience sharing, group practice, Q & A) with diverse contents and met the needs to improve skills of the trainers.